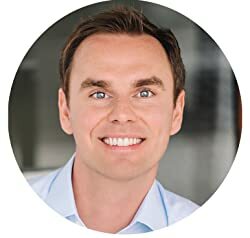 BRENDON BURCHARD is the #1 New York Times bestselling author of "The Millionaire Messenger" and the #1 Amazon.com bestseller "Life's Golden Ticket." He is also founder of High Performance Academy, the legendary personal development program for achievers, and Experts Academy, the world's most comprehensive marketing training program for aspiring authors, speakers, coaches, and online thought leaders. For these works, Brendon has become the highest paid trainer in the world on the topics of both motivation and marketing. Brendon's books, videos, newsletters, products, and appearances now inspire two million people a month worldwide. His new book is called, "The Charge: Activating the 10 Human Drives that Make You Feel Alive." Brendon was blessed to receive life's golden ticket -- a second chance -- after surviving a car accident in a developing country. Since then, he has dedicated his life to helping individuals, teams, and organizations find their charge, share their voice, and make a greater difference in the world. Brendon is regularly seen on public television, and he has been in media appearances on Anderson Cooper, ABC World News, NPR stations, Oprah and Friends, and other popular outlets like SUCCESS magazine, Inc.com, Forbes.com, and the Huffington Post. As one of the most in-demand trainers of our time, Brendon has shared the stage with the Dalai Lama, Sir Richard Branson, Tony Hsieh, Tony Robbins, Wayne Dyer, Stephen Covey, Deepak Chopra, David Bach, John Gray, Jack Canfield, Tim Ferriss, and more. His clients include entrepreneurs and executives from 59 countries, and his advice and training has been in use at, or sought by, Accenture, Alcoa, Amazon.com, The United States Naval Academy, and 34 of the top 50 universities in the world. Please enter your email address and click the Follow button to follow Brendon Burchard!